MADE WITH CARE FOR YOU TO SHARE! 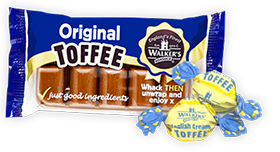 Walker’s Nonsuch is an independent family company, based in the heart of the UK who has been making toffee since 1894. Using the finest ingredients like whole milk and butter, we make toffee bars, bags and slabs and twelve varieties of twist wrapped toffees and chocolate éclairs. We only make our Walker’s Nonsuch brand. To find your local cash and carry, wholesaler, or distributor call us on 01782 321525 or fill in the form below and we’ll get back to you soon. Tel: +44 (0) 1782 321525, mail to: sales@walkers-nonsuch.co.uk or fill in the form below and we’ll get back to you soon. 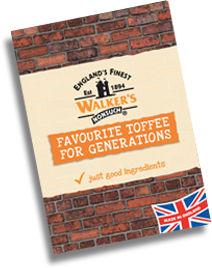 Interested in stocking our toffee? We are very proud to have once again achieved a Grade A certification in our recent BRC audit.